What is the Parliamentary Monitoring Group? See our video on "Youth Monitoring Parliament" : PMG enables youth to be at the rockface of government and three of our alumni have gone on to become MPs! The Parliamentary Monitoring Group, an information service, was established in 1995 as a partnership between Black Sash, Human Rights Committee and Idasa with the aim of providing a type of Hansard for the proceedings of the more than fifty South African Parliamentary Committees for these three advocacy organisations. This was because there is no official record publicly available of the committee proceedings - the engine room of Parliament - and this type of information is needed by social justice organisations to lobby the Parliament of South Africa on pieces of legislation, matters of democratic processes and parliamentary oversight of the executive. This website was set up at the beginning of 1998 to make the information generated available to a wider audience. Presently this is the only source for this type of information. We hope that the PMG committee reports and other documents will provide the public with an insight into the Parliament of South Africa and its daily activity. Importantly it provides a window into the performance of each government department and public entity over which each parliamentary committee has oversight. PMG became a fully fledged independent NGO in July 2009. For a case study of PMG, go here: Getting Information to the People - Case Study of PMG including a comparison of parliamentary monitoring organisations globally. PMG aims to provide accurate, objective, and current information on all parliamentary committee proceedings in the form of detailed, unofficial minutes and documents and since 2007, sound recordings of the meeting. PMG’s key activity is the attending of all Parliamentary Committee meetings, where a monitor will tape and minute the proceedings and obtain all documents tabled in the committees. Immediately after the meeting, the audio recording is published on the PMG website Once a detailed written report has been compiled, it passes through an editorial and quality control process. It is then published on the PMG website within three working days of the committee proceedings along with all the relevant committee documents such as such as public submissions, working drafts of bills and briefings on policy & legislation. Please make use of PMG’s free email alert service and receive alerts for those government portfolios that you are interested in. We email you committee meeting reports and documents, new bills, request for submissions, ministry media briefings and speeches. Currently PMG covers all parliamentary committees (except Intelligence which is closed to the public) and the PMG website has a record of all meeting proceedings and other documents between January 1998 and the present. However certain committees were not covered prior to 2000. If you cannot find what you are looking for, please contact info@pmg.org.za. 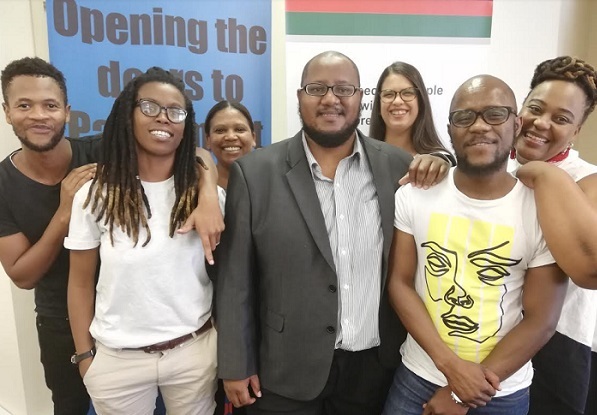 The six directors sitting on the board are: Mr Ghalib Galant (PMG Board Chair), Ms Nonhlanhla Chanza, Ms Colleen Ryan, Ms Erika Wessels, Ms Lynette Maart and Mr Elroy Paulus (PMG Board Treasurer). Who are our staff members ? In addition, the free access enjoyed by civil society is cross-subsidised by subscriptions paid by commercial and government users. The National Assembly photo on our landing page is by GovernmentZA on flickr and is licensed under a CC-BY-ND-2.0 license. The National Council of Provinces photo on our landing page is by Victor Bergmann and is licensed under a CC-BY-ND-2.0 license.